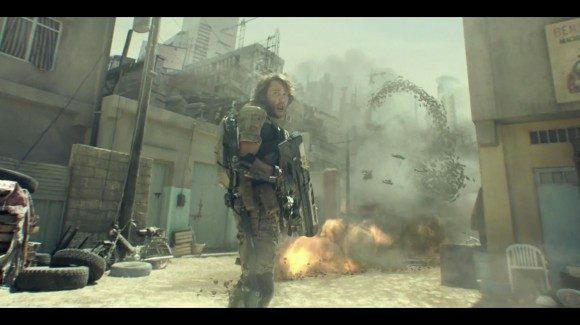 Call of Duty: Advanced Warfare’s latest trailer, “Discover Your Power,” shows just how far Activision and Sledgehammer Games are going to bring a fresh face to the long-running franchise. It may not be in-game footage, but it sure is entertaining. Personally speaking, the Call of Duty series has always been a take it or leave it franchise for me. Having said that, the trailer for the series’ latest game, Call of Duty: Advanced Warfare, is absolutely amazing, and for the first time since Big Red One on the original Xbox, has me interested in playing a Call of Duty game. Anyone who has ever watched a Michael Bay movie will appreciate the over-the-top presentation in the trailer. Likewise, the game itself is seeing a small if noticeable overhaul of the Call of Duty series as a whole. Many people have been criticizing the series for some time for not showing much in the way of change or advancement from one title to the next, and with Call of Duty: Advanced Warfare Activision seems to have taken those complaints to heart, abandoning the last vestiges of real-world war simulation the series has been clinging onto in favor of more over-the-top action. Because if there is one thing the Call of Duty never was before, that’s over the top. Call of Duty: Advanced Warfare will be available on November 4 2015 for the PlayStation 3, PlayStation 4, Xbox 360, Xbox One, and PC. If you pre-order the game now, though (cutting it close, aren’t we?) then you can get the special Day Zero edition, which unlocks the game a full day early and grants a few other bonuses as well, including a handful of unique guns and triple XP for November 3. Is this going to be a change of pace for the series, helping it to appeal to a wider audience? We’ll just have to wait until reviews start coming in to see.